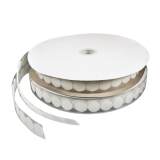 Adhesive foam roll is perfect for a variety of applications. In particular, these adhesive foam strips work great as a solution for sticking lightweight signs to a variety of surfaces and products. 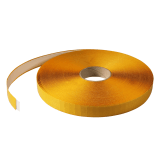 What sizes is the double sided adhesive foam tape supplied in? 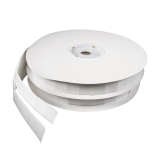 The roll is available in two widths dependent on your requirements, 1.2cm or 2cm. What is the double-sided feature? The foam roll is double-sided to ensure a clean and professional display. This allows you to stick it to the back of a product and then the required attachment so it is not visible to customers. 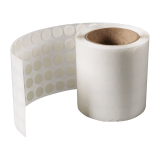 What size rolls are the adhesive foam strips supplied on? The foam roll is supplied on a continuous 50m roll. You simply cut the adhesive to your desired length as and when required. very strong, perfect for snap frames. Just what we needed - thank you. Has worked well.